"Let The Music Move You"
We are Dynamix Disco, a highly qualified professional wedding DJ and mobile disco hire service providing bespoke disco and live music entertainment packages for weddings and civil ceremonies, birthdays, anniversaries, engagements, corporate events, social functions, theme nights, award nights,work parties,dinner dances, graduation balls and more. We have twenty years experience in the music industry,performing at thousands of events in the UK and overseas. During this time we have established ourselves as one of the preferred and trusted mobile disco and DJs across the midlands. As a family run business we pride ourselves on our personal and friendly approach, offering a free consultation to get to know you and to create the event you want,while making the whole process stress free! We have an extensive music library, covering all genres from the 1950s to the current chart hits, meaning everyone at the party will have a great night! Plus, all of your song choices and playlists,whether it is 20 or 120 songs will be arranged prior to your event - we will even take requests on the night!All of our packages include professional grade sound systems, complimented with sophisticated modern LED light shows, including star cloth backdrops and starlit DJ booths to help make your event look and sound amazing! 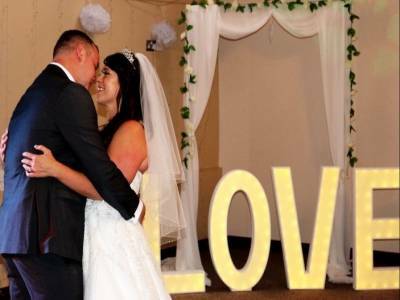 Plus, we have a wide range of additional services including LOVE letters, mood lighting and dance floors. Required by many venues, Dynamix Disco has a current PLI policy with MU in the amount of £10 million. Also required by many venues, Dynamix Disco has supplied satisfactory evidence of holding current PAT inspections of their equipment dated within the last 12 months. A Method Statement outlining Dynamix Disco&apos;s Health & Safety procedure for setting up disco equipment has been provided. Dynamix Disco has provided Risk Assessments undertaken at events sourced via needadisco.com, indicating that they can undertake these competently. 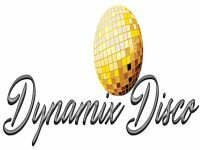 Why do people choose to book Dynamix Disco? The only one who stated they did karaoke. Email was formatted professionally, good reviews, replied to my questions promptly and accommodated everything i wanted. No particular reason, they all sound very good. "Although the DJ arrived a little later than planned due to traffic - they were very accommodating leading up to the disco and the music played was a perfect mix - highly recommended. " 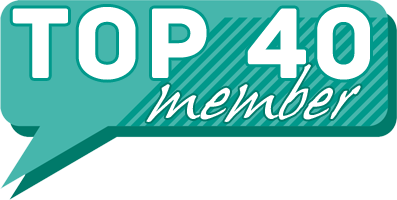 "We were very happy with Brett, he was professional and courteous throughout and the whole process was very easy. We were able to provide a list of songs we did and did not want played and Brett made these happen for us. He also was very amenable to making announcements etc for us, and finished exactly on time as our venue was very strict about the timings for finishing. He was great and we’d have no hesitation recommending him to anyone. " "Brett was lovely. He also sang with an acoustic guitar and took pictures at my event which we were very happy with." "Thank you for your comments and thank you for a great night!" "Great Service and We all had a fab fab night. Thank You’ "
"Thank you for your feedback, great night!" "DJ services were good and guests were very happy. Communication before the event was poor, i felt i had to chase all through the process, after paying deposit had to chase to confirm receipt, when no contract had been revieved several weeks later had to chase. 2 days before the event hadn't had any contact in over 2 months had to chase again to confirm attendance. For a 5 star rated service i would have expected better." "Thank you for your feedback and was great to see the dance floor so full all night! In the event our office is closed upon booking over the Christmas period please note that we offer a 24/7 telephone service." "Brett did a good job, asking if any request were needed and how we wanted the evening planned out. 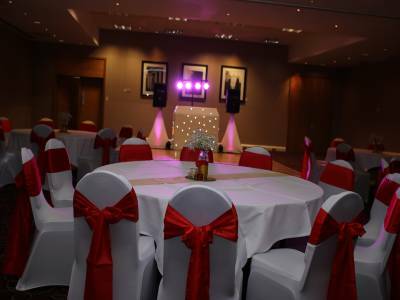 For a small venue he did a fantastic job." "Thank you for your feedback and we're thrilled that everyone had a great night!" "We hired Dynamix disco for a 40th birthday. They were very good from providing a quote to packing up. Our playlist was adhered to and requests were always accepted. I would definitely recommend them!" "Thank you for your feedback, really enjoyed the evening!" "I would recommend dynamix disco. They provide a good service and are good value for money. The only negative is that you often have to chase a response from them when emailing. " "Thank you for your feedback. Just to note that we are available 24/7 to phone or text when email is not accessible." "Brett was fantastic. He took our play list and weaved it into a fantastic evening of music (several guest have asked for the playlist). He listened to our requirements at the beginning of the evening and then check in during the event to make sure we were getting what we wanted. He was as polite and cheerful at the end of the evening as in the beginning. Would defiantly recommend him." "Brett the DJ did a great job for our Daughters 18th Birthday , all of her requested music was played and had everyone on the dance floor. Great setup and lights which looked brilliant and made the atmosphere really good. My Daughter also wanted to do the mannequin challenge which Brett was more than happy to help out with and filmed it for us. Brilliant evening , which our daughter and friends really enjoyed . Would definitely recommend and will call on again for any future events we have. Thank you for making the evening brilliant. " "Thank you, really great night to be a part of!" "Fantastic job, catered for musical requests! Prompt and approachable, would definitely recommend and use again!" "Thank you, great night, great dancing and a pleasure to deal with." "Brett was fantastic. He was punctual and professional and played everything I asked for... and more! Emma was very friendly and efficient in her email responses. Myself and my guests had an amazing night. Thank you both. I would highly recommend Dynamix. 5 star service "
"Thank you for your feedback, it was a great night and a pleasure to be a part of your event!" "Absolutely fantastic set up, everyone was pleased with the range of music! Very professional and would use again ! Mr and Mrs clark "
"Thank you for your comments. Congratulations and we wish you years of happiness together!" "Brett was excellent. Music was very good, and even guests commented how good he was. Would definitely recommend." "Thank you, really pleased that you all had an enjoyable night." "Highly recommended DJ, the music played for our wedding reception was great. Emma was excellent to coordinate with prior to our wedding, and Brett was very friendly on the night too. The best part though was that we had asked Brett to acoustically play our first dance song as my bridesmaid sang it for us - this was absolutely fantastic. Brett sent a backing track through a couple of weeks before the night so she could practice, but they had no other rehearsal time together (apart from about 5 minutes while Brett was setting up!) - and it was flawless. I think Brett also does longer acoustic sets, but it was just the one song I wanted playing - in any case, I'd really recommend it if you wanted an extra personal touch. " "Thank you for your great review! It was an absolute pleasure to perform for you and to make your day special!" "Brett did all we asked for and everyone enjoyed the music." "Thank you for yur review, we're really glad that everyone had a great night." "The DJ was absolutely perfect ! Would thoroughly recommend"
"Dynamix disco were a great choice for our wedding. The booking process was easy and friendly. I mainly dealt with bretts wife with the booking and she was so helpful. On the day brett set up with no distraction and played all the songs we wanted. He was fantastic i would definitely use them again." "Thank you so much, the day was great and you were all so friendly. Congratulations once again!" "Brilliant value for money. I can't fault this team. Many thanks for contibuting to making our day fantastic. The guests thought you were great"
"Thank you, we're really pleased that you had such a special day!" "Top marks for everything we had such a good night Thankyou for playing such a big part in making sure that we did !!" "Thank you for your review! It was a great evening with great dancing and karaoke singing!!" "Dynamix Disco were brilliant throughout the process for our event. Good communication, excellent lighting, DJ quality and even photographer! Thanks again for playing such a big part in making our event so brilliant!" "Thank you for your feedback. Really good night and the great dancing made for some fantastic photo opportunities!" "I was very pleased with the disco, Brett was a lovely man he adhered to all requests, I would recommend him without hesitation it was a job well done." "Thank you for your feedback. It was lovely to meet you and your family." "Brett was friendly, professional and gave a brilliant performance! I would definitely recommend him and I would book him again without any hesitation. Top marks." "Brett was extremely professional and a pleasure to deal with, we supplied Brett with an extensive playlist which he played fully and enhanced it with music to complement. The sound system was clear and crisp, our guests made fantastic comments all evening. We will definitely be using him again and recommending him to our friends." "Thank you for your review and great to hear that you will be recommending us!" "Could'nt have asked for a better night and that is all thanks to Brett at Dynamix disco! He really did make the night one to remember!!" "Thank you, great night, great crowd!" "Top drawer DJing! Really added to an amazing wedding night- thanks Brett and Emma!" "Thank you for your review - great night and great crowd!" "Brett got lost so was late to the venue (not his fault - unexpected roadworks). On arrival however he set up in an exceptionally quick time, allowing an easy transition for when he was required. He made a playlist tailored to myself and it was fantastic! I couldn't thank him enough for the effort he put in on the night. Great value for money. Thoroughly recommend." "Thank you for your review! It was a pleasure to be part of your special evening." "Brett was fantastic!!! So friendly and helpful...Had a brilliant night.. Lots of dancing, Every request was played.. Lights were fab music was fab!! Would definately recommend.. Great communication too with Emma.. All in all a perfect dj!!" "Thank you for your great feedback- it was a brilliant night and a pleasure to be a part of!" 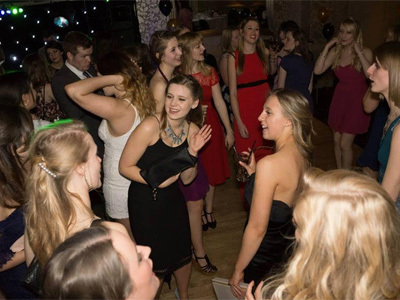 Dynamix Disco also offers a range of additional party services not directly linked to musical entertainment. Please note that needadisco.com has no editorial control over these images which are stored on flickr.com. If you have any concerns about what you see below, for example potential copyright infringement or unsuitable content, you should take this up with Dynamix Disco directly using the Contact section below, or else you may alert flickr.com directly quoting "set number 72157674310973095". Get FREE no-obligation disco quotes from Dynamix Disco and other DJs covering your venue. Take 2 minutes to fill in some basic details and we'll do the rest! If you are contacting Dynamix Disco about an event, it's always a good idea to include the DATE, LOCATION, EVENT TYPE, AGE GROUP and TIMINGS to speed things up!